Some people will do anything for charity, from sitting in a bath of baked beans to shaving off all of their hair, but is there anything that looks as much fun as the Dirty Girl Mud Run? This 5 kilometre obstacle course was tackled by a selection of enthusiastic women last week, all dressed appropriately enough for a gruelling slog over a military worthy course, in tutu’s, face paints and running shoes. 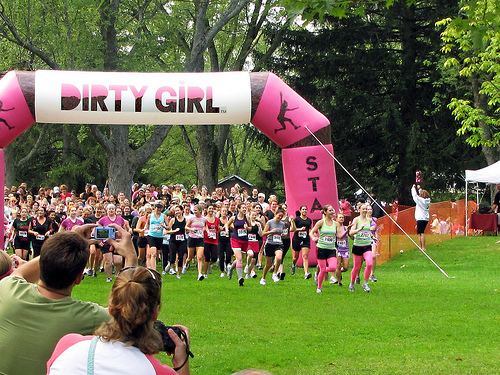 The air was filled with expectation as they all gathered at the starting point, beneath a large brown and pink inflatable arch emblazoned with the words ‘Dirty Girl Mud Run’. The run took place at Montage Mountain, Pennsylvania US. All of the runners eagerly awaited the start of the race, all of them running to raise money for charity and all of them running in memory of a friend or family member, and every one of them hoping that the adrenalin that was driving them would see them through to the end of the race. Ahead of them were hills to climb, eight feet high walls to scale, cargo nets that stretched over two storeys as well as pits filled with cold water, and partly submerged industrial piping, this was not a course for the faint hearted. 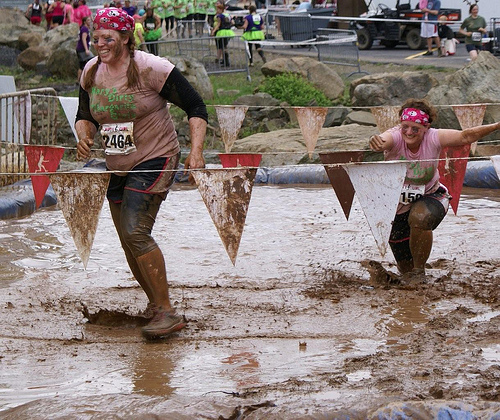 The Dirty Girl Mud Run is just the latest in a long line of charity endurance races aimed at raising money for worthy causes. All of these races started with the original mud run, designed and created by Paul Courtaway an ex marine, and have progressed over time through to Warrior Run and The Spartan Race amongst many others, all of which include plenty of opportunities to get mud in places you didn’t know you could get mud into, and all of them varying in length and difficulty. Yet all of them draw competitors determined to beat the course and raise funds for the charity being supported. Every year new competitions are created and every year the sign up rate for the events increases. These races are not just a test of physical stamina they are also testament to the mental endurance of the competitors. Yet for those who complete the courses the sense of achievement and accomplishment is overwhelming. One of the theories as to why this type of race is becoming increasingly popular is that runners are getting bored with flat racing and are looking for more of a challenge, something that offers a greater feeling of success and something that allows you to get dirty in the process, in fact the dirtier you get during the events the greater the sense of achievement at the end of it. Part of the human condition seems to be to push ourselves harder and for longer and the mud runs have just the right amount of difficulty, and fill you with the right amount of trepidation and fear that they provide a unique adrenalin kick all on their own. 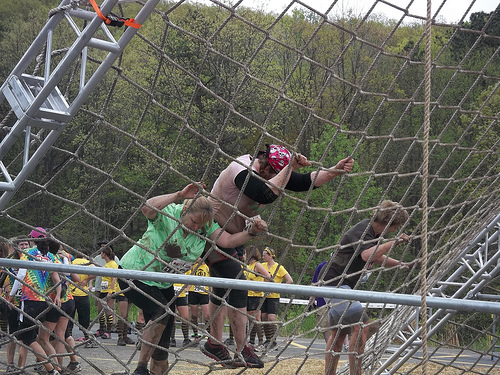 This entry was posted in Bizarre, Festivals and Events and tagged Dirty Girl Mud Run, Obstacle Course. Bookmark the permalink.